Ästhetische Sanierungen mit fest... Marx, Robert E.
After clinical history-taking and examination, radiography is the "third way" of diagnosis, and dentists face the daily task of interpreting radiographic images to help in patient management. 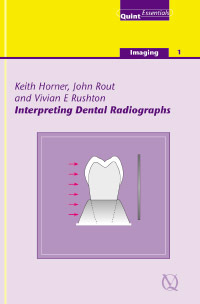 This book aims to give a comprehensive guide to reading x-ray images in dental practice and concentrates on intraoral radiographs. The text builds on a strong foundation of anatomical knowledge and is reinforced by the authors' experience of the radiological appearances that frequently challenge dentists.